MVD Distribution recently send us infomation for the upcoming release of "Sad Vacation: The Last Days Of Sid And Nancy" The documentary documents Sid and Nancy's fateful trip to New York in 1978 and is narrated by Huey Morgan (Fun Lovin' Criminals). "Sad Vacation: The Last Days Of Sid And Nancy" hits retail on December 9th. 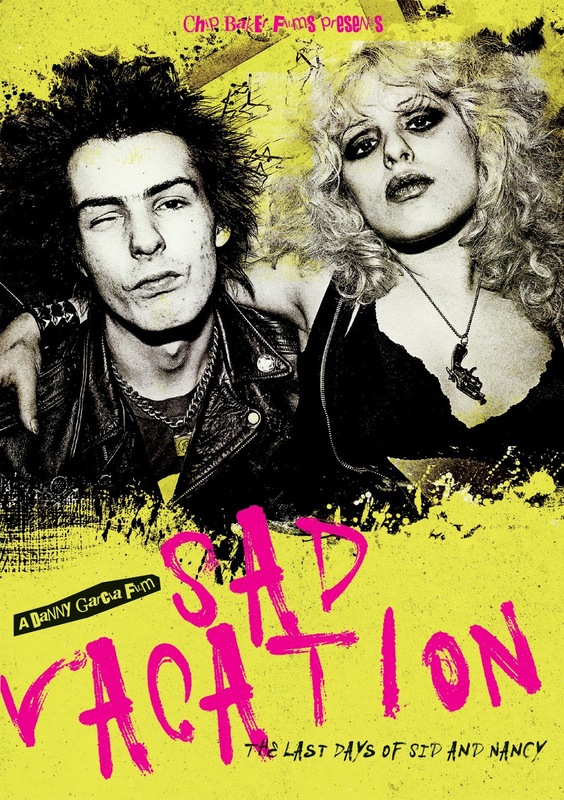 SAD VACATION is the latest documentary film by Danny Garcia ("The Rise and Fall of The Clash"/"Looking for Johnny"), which explores Sid and Nancy's fateful trip to New York in 1978. It is a film that is dedicated to presenting the real facts; told as it happened by their friends and those who witnessed it. A film about the dynamics of Sid and Nancy's tumultuous relationship, and how it all ended in Room 100 of the Chelsea Hotel. SAD VACATION includes interviews with Roberta Bayley, Steve "Roadent" Conolly, Donna Destri, Kenny "Stinker" Gordon, Bob Gruen, John Holmstrom, Hellin Killer, Walter Lure, Honest John Plain, Howie Pyro, Cynthia Ross, Andy Shernoff, Gaye Black, Casino Steel, Phyllis Stein, Sylvain Sylvain; in addition to the late Leee Black Childers and three key residents of the Chelsea Hotel, Victor Colicchio, "Neon" Leon Matthews, and Ned Van Zandt, who had a lot to say about the events that took place on October 12th 1978. Drawing upon their reflections and a batch of newly-released Grand Jury documents, "Sad Vacation" presents a solid timeline of events for the very first time. Narrated by Huey Morgan (Fun Lovin' Criminals), SAD VACATION contains unseen photography of Sid and Nancy and music from The Heartbreakers, The Boys, The Members, Neon Leon, Pure Hell, Sami Yaffa, Luigi & The Wiseguys, Skafish, Corazones Muertos, The PrimaDonna Reeds, Supla, Silke Berlinn & The Addictions and Sid Vicious himself.